Also, Sony’s e-paper watch, piracy in the UK, droning on about Chernobyl, and George Lucas ruins the new Star Wars VII teaser trailer. Several of Sony Pictures’ new movies have leaked online after its corporate computer systems were hacked last week. Fury, Annie, Still Alice, Mr. Turner, and To Write Love on Her Arms are all now available to download illegally, despite all but Fury not yet having been released in theaters. The hacking of Sony Pictures saw anyone accessing company computers presented with the message, “Hacked by #GOP … We have obtained all your internal data including secrets and top secrets.” Leaking these DVD screeners is unlikely to be the main reason Sony Pictures was hacked, but the true purpose of the attack remains unknown. Ride-sharing app Uber What Is Uber and Why Is It Threatening Traditional Taxi Services? What Is Uber and Why Is It Threatening Traditional Taxi Services? Uber has landed, and it's fundamentally changing inner-city transit. And some might say, not entirely for the better. Read More is on a mission to disrupt the traditional taxicab industry, and a new report in The New York Times suggests it’s succeeding. The first sign that the taxi business is struggling to compete with the new competition is the price of taxi medallions tumbling. These medallions are what enables a taxi driver to operate in a city, and with a limited number of medallions available, they can cost hundreds of thousands of dollars. In New York, the price of a taxi medallion has dropped 17 percent from the peak 18 months ago. In Chicago, the drop is also 17 percent, and in Boston the drop is at least 20 percent. According to the report, taxi firms are increasingly struggling to remain in business, while some drivers are choosing to defect to Uber, Lyft, and the plethora of other apps gaining a foothold in major cities. Sadly, there doesn’t seem to be an easy solution for the old industry battling the new upstarts. Sony is developing a range of wearables 6 Upcoming Wearable Devices Compared: What's Hot and What's Not 6 Upcoming Wearable Devices Compared: What's Hot and What's Not I present to you six of the more interesting and useful wearable tech devices either on the market, or soon to enter it. Read More under the heading of Fashion Entertainments. 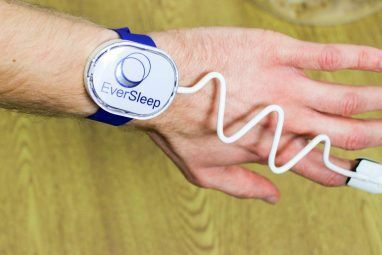 The first device to have emerged from the project is the FES Watch, a wearable device with an electronic paper (e-paper) which looks different depending on how you hold and move it. Intriguingly, Sony added the FES Watch on Japanese crowdfunding site Makuake in order to determine the level of interest. To ensure potential customers were actually interested in the product and not the brand associated with it, Sony’s involvement was kept entirely hidden. The FES Watch sailed past its funding goal, making it likely that Sony will now get busy developing more unusual wearables. More websites have been banned in the UK, with major ISPs being forced to block access to 32 additional domains the Motion Picture Association (MPA) claims are associated with piracy. This is in addition to the dozens of websites already blocked under court order. A full list of the websites newly and previously blocked in this way is available on TorrentFreak. And with ISPs essentially giving up fighting these instructions, there are likely to be more domains added to the blocklist in the future. It has been almost 30 years since the Chernobyl disaster, when an accident at a nuclear power plant in the Ukraine saw radioactive particles released into the atmosphere. 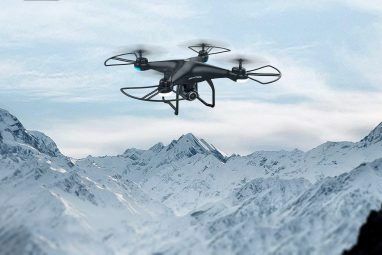 However, Chernobyl has never recovered, as new video footage shot by drones 5 Amazing Uses for Drones in the Future 5 Amazing Uses for Drones in the Future Unmanned aerial vehicles, more commonly called drones, are now infamous for their surveillance capabilities, but like most tools, the usefulness of a drone depends on who's in control. Read More clearly shows. This was shot on location by filmmaker Danny Cooke for 60 Minutes. And it’s morbidly mesmerizing. And finally, you have no doubt watched the actual teaser trailer for the new Star Wars by now. If not, go and do so immediately so we’re all on the same page. And then watch this fan-made approximation of how the trailer for Star Wars: The Force Awakens The Force Awakens: 25 Alternative Names For Star Wars VII [Weird & Wonderful Web] The Force Awakens: 25 Alternative Names For Star Wars VII [Weird & Wonderful Web] Star Wars is back, with The Force Awakens due to be released on Dec. 18, 2015. Unhappy with the title, the Internet suggested its own alternatives... Read More would look had George Lucas got his grubby little mitts on it. Whether you love or loathe this first look at the next Star Wars movie, you must admit J.J. Abrams has more class than George Lucas. Even if the first sighting of the new lightsaber has upset some people. Some rather serious, pedantic people who really need to get out more. What are your feelings on traditional taxis vs. ride-sharing apps like Uber and Lyft? Do you like the idea of an e-paper watch? What do you think of the first Star Wars VII trailer? 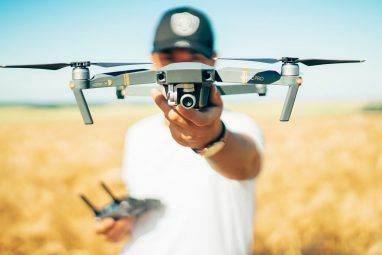 Explore more about: Drone Technology, Movie Trailer, Software Piracy, Wearable Technology. Does anyone really care whether the oligopolistic taxi industry survives with their semi-monopoly state licenses that have kept other competitors out of the market for years at exorbitant and state-subsidized prices for the taxis ? Good riddance to coercive (semi-coercive) monopoly industries. I have no sympathy at this point. That depends. Taxi cabs may be a monopoly, but at least they allow ordinary people to earn a good wage. I'm not sure Uber does that, as their drivers seem to be severely undervalued. So "the oligopolistic taxi industry" will be replaced by equally oligopolistic Uber/Lyft industry. Better the devil you know than the one you do not. Uber, Lyft, et al. may supplant traditional taxis in the near future but when they become dominant, they in turn will be supplanted. Already Uber and Lyft are having problems with their drivers and pricing structures. 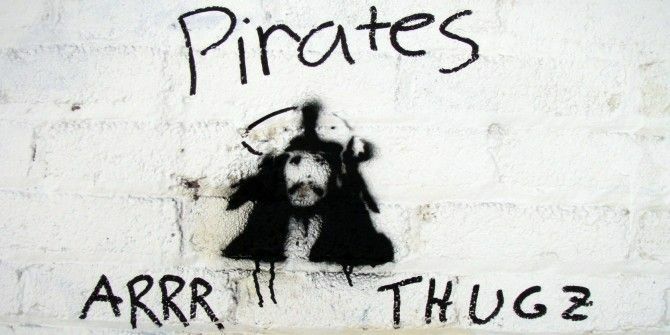 The UK Blocks More Piracy Sites - is it possible that the MPA will succeed in blocking all sites other than those belonging to its members? Of course something will eventually replace Uber et all. Self-driving cars, I suspect. But it's still something to see such a longstanding industry such as taxi cabs being usurped in this way. I suspect that's the MPA's goal! "Of course something will eventually replace Uber et all. Self-driving cars, I suspect."